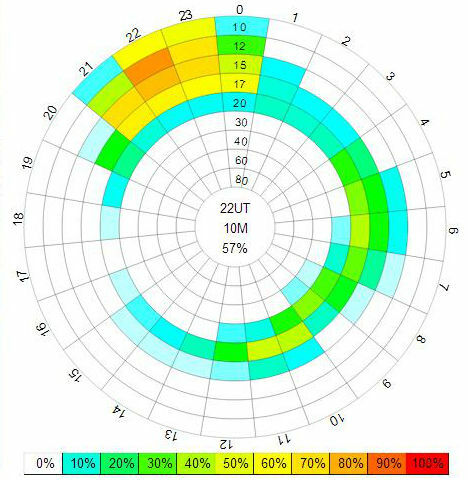 We still believe that it is more important to give a new country to "small pistol" than to give a 9th band QSO to a "big gun" station. By doing this, we hope to fulfill the demand for a "new one", especially from stations located in Japan and the rest of the Far East. Direct and OQRS requests received before 15th Dec. 2014 were mailed just before New Year! On the way to Martinique airport our taxi stopped and was not able to go again. We had to push taxi for several meters to get ignition. Thanks heaven the road was not uphill. Our 3 operators made together 3300 QSOs during Contest. We are tired and satisfied. Thank you all stations which gave us points and multipliers. Over 2400 contacts were made on 10m where conditions were rather reasonable. 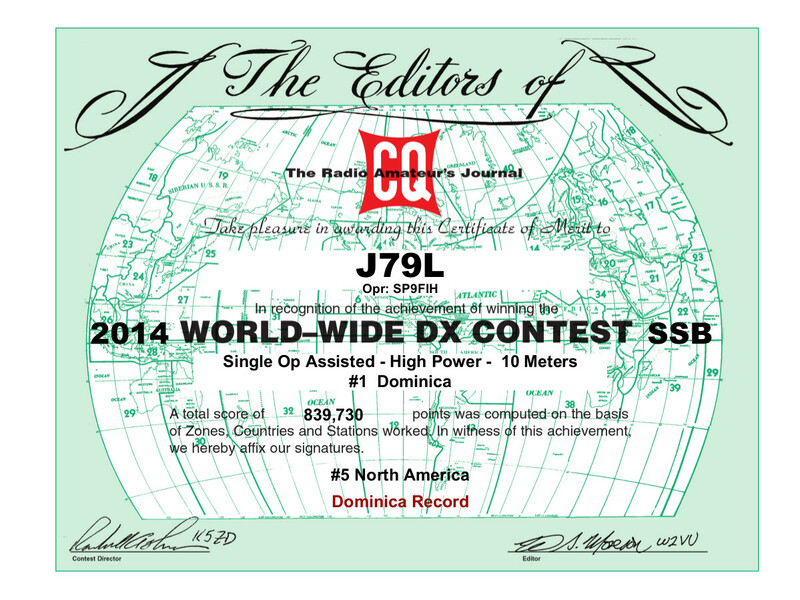 J79L will participate as SOSB 10m and J79X as SOSB 40m. J79F probably taking easy SOMB. Please give us points calling and sending logs. Kazik J79X and Bogdan J79F erecting Spiderbeam. We are aware of short and difficult propagation towards Asia and Far East from Dominica. 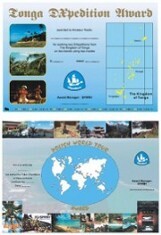 We will take special attention to this region and during proper hours we will ask only for contacts with JA or Asia. VOACAP short path propagation forecast between Dominica and Far East is on the right side. There is also possibility of long path opening on this route. We added "Openings" bookmark to our site. 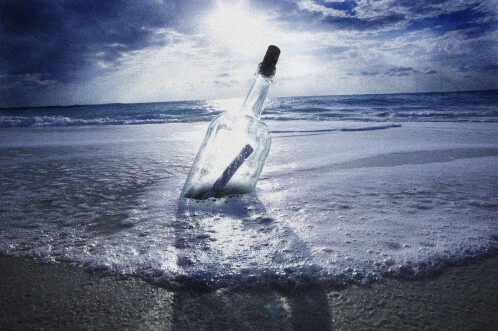 You will find there propagation predictions from major countries to Dominica on some bands. 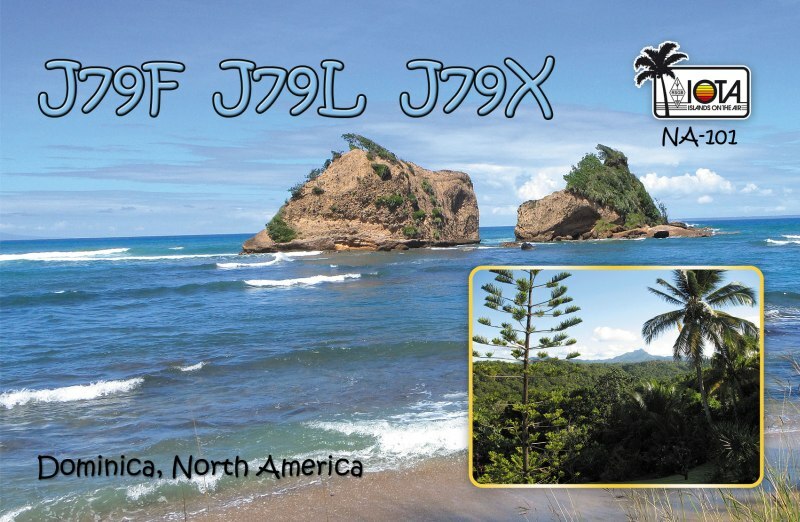 Bogdan SP2FUD decided to join the party, so it will be 3 men dxpedition. 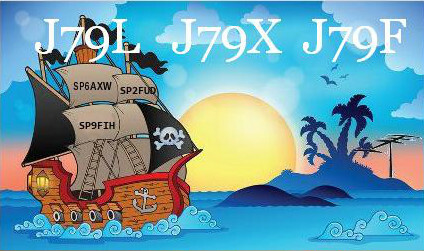 Bogdan received email promise of J79F callsign. 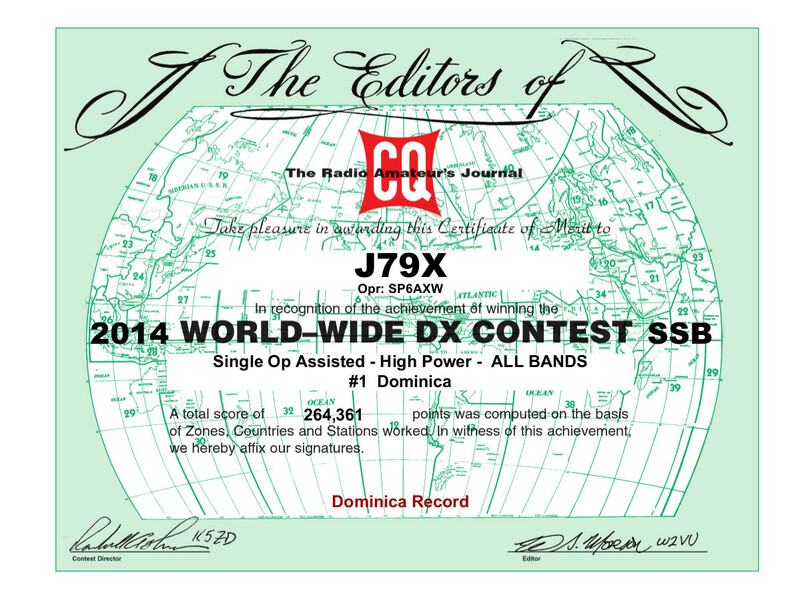 Finally Kazik got email promise of J79X callsign.